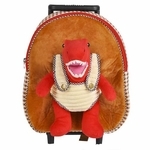 Buy and save big when you shop for Dinosaur Backpacks at Dinosaur Corporation! 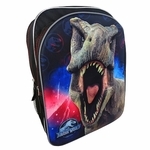 Find Large selection of kids dinosaur school backpacks with T rex, Velociraptor, Triceratops and Stegosaurus. 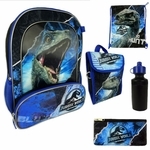 A perfect dinosaur school backpacks and lunchboxes for dinosaur enthusiasts loving Jurassic World. 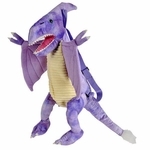 Make your child�s day with just the right dinosaur backpack or Dino Day Pack. They�ll love carrying their school books or important toys and belongings in one of our awesome Brontosaurus, Stegosaurus, Triceratops, T-Rex, Tyrannosaurus Rex or Velociraptor bags. Made for boys or girls, they are just the friendly giants to let your child feel strong and protected throughout the day.